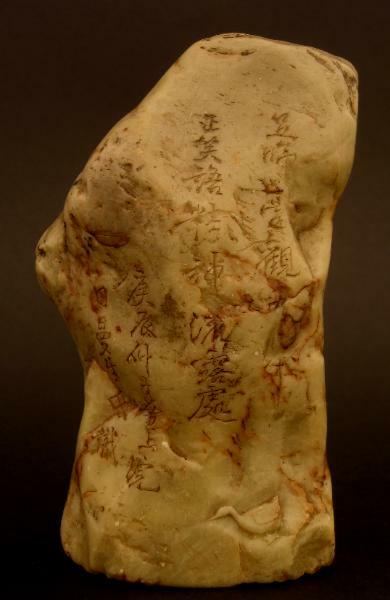 This seal, which has been kept in its natural boulder-like form, is carved with poems on each of its three sides as well as an image of a small duck on one side and a mountain and waterfall scene on the other. The base is carved with seal script and has cinnabar remnants in the grooves. It fits perfectly into the hand and is a beautiful object within oeuvre of scholarly contemplation.